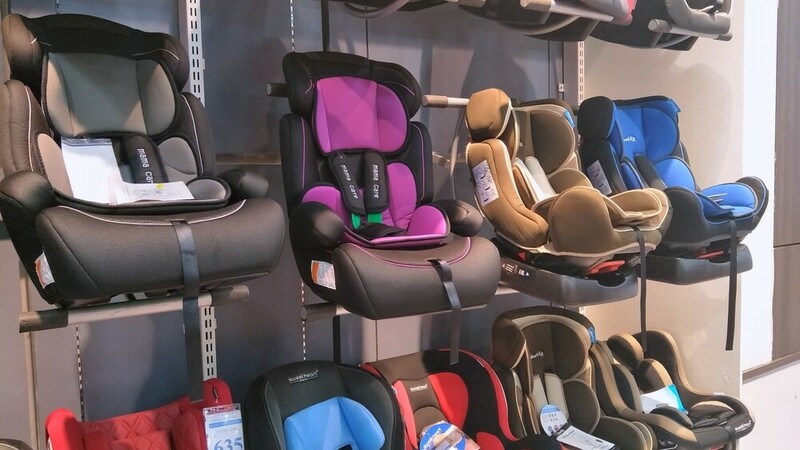 Home » Best Car Seat Ratings – Top Rated Products For 2019 » Which Baby Car Seat Brands are the Best? Which Baby Car Seat Brands are the Best? One of the most important items you’ll ever buy for your child is a car seat. Although they may be irritating to wrestle inside your vehicle, this metal and plastic contraption could save your child’s life. However, with so many brands and products related to car seats, the responsibility to find the safest one for your baby can feel overwhelming. Every brand promises something different, and it’s almost impossible to know which companies take your baby’s safety as seriously as you do. Fortunately, you don’t need to bear this responsibility alone. We realize how important it is to find a dependable seat that will keep your child secure, and we’re here to tell you which car seat brands are at the top of the ranks. For over 60 years, Graco has been designing baby products and car seats that center around safety and durability. It all started when one of the company’s engineers, Rex Thomas, realized the importance of safe, convenient baby products in his own family. Although their original focus was on baby swings, Graco quickly expanded into travel systems and car seats. One way that Graco has stayed committed to safety is through the use of their own crash test facility. Once they start developing a new product, Graco can run crash tests in their own facility to ensure that every one of their products meets or exceeds Federal safety standards. Anytime you purchase a car seat from Graco, you can trust that it’s been thoroughly tested and improved by Graco safety technicians. Since installing your car seat can be a tricky and frustrating process, Graco always includes step-by-step instructions that are easy to follow. As far as durability goes, Graco is committed to making long-lasting products. Many of their car seats are designed to last parents for ten years, but if you’re still not sure, each product will always come with an expiration date, so you know when it’s time to purchase a new one. One of their top-selling items is the 4EVER DLX 4-in-1 Car Seat. This product is meant to last you a decade, and support children from 4 to 120 pounds. Special protection features will help protect your child in rear, frontal, side, and rollover crashes. The SimplySafe Adjust Harness system allows the headrest and harnesses to easily adjust together. As a well-established company, Graco doesn’t just want to provide products that meet Safety Standards—they want to develop new protection features that go beyond what’s required of them. Purchasing from Graco doesn’t just mean a safe car seat, but a durable one too. A European-based company that launched in the US in 1996, Britax has worked hard to earn the trust of families across the globe. They’re focused on innovation and new technology, but what Britax really prides itself on is their open-line of communication with parents. If even one family is dissatisfied with a product or has a suggestion for improvement, Britax is ready to listen. Their first priority is safety: the security of the child is the basis for all of Britax’s car seat designs. One of the most important features is their Side-Impact protection. 1 in 3 car crashes are side-on collisions, which mean that protecting the sides of your baby’s car seat is paramount. Many of their products also include SafeCell Impact protection. In the event of a crash, the SafeCell Impact protection is meant to help absorb the impact and keep your child’s mobility to a minimum. If you’re worried about installing your car seat incorrectly, Britax is responsible for ClickTight Installation. They recognized that a significant problem with car seats is that, as safe as they may be, 3 out of 4 of them still end up getting installed incorrectly. Instead of spending hours tangled up in straps and harnesses, the ClickTight Installation feature makes it as simple as buckling your seatbelt. While many brands work to meet the Federal Safety Standards, Britax strives to go beyond the standard requirements. They want to create more convenient products for parents, but they also want to make sure your child will be as safe as possible on the road. Founded in 1958 by Pietro Catelli, Chicco is a reliable Italian-based company that’s been designing car seats for decades. The Chicco Observatory, or Happiness Lab, rely on the opinions of pediatricians, ergonomists, and parents when developing new products. Chicco car seats center around two key components: security and comfort. Not only do they want to produce the safest car seat they can, but they also want to ensure that your child is comfortable too. They sell almost anything related to car seats for infants, toddlers, and even bigger kids. Many of their best-selling products come highly recommended by medical professionals. Neonatal nurses from around the world have heavily endorsed one of their top-selling items, the KeyFit 30, for premature infants. This is because, unlike other car seats, the KeyFit 30 can be adjusted to extremely small sizes. To provide maximum support, many Chicco car seats also have padded harnesses, nine-position headrests, and removable parts. While these features might not seem life-changing, they go a long way in keeping your child calm and comfortable during long car rides. What separates Chicco from similar brands is their reputation and authenticity. Many brands boast about safety features, but not all of them follow up on this promise. By working directly with medical professionals and parents, Chicco is able to learn which products and features will make your child more secure, and which ones won’t. If you’re looking for a dependable car seat from a reliable, well-established company, Chicco might be the right choice for you. Launched in 1999 in Seattle, Diono is a newer brand known for its innovation and ingenuity. In 2002, they won the Most Innovative Product award for one of their car seats, The Diono Mighty-Tite. In that same year, they also debuted the super mat, which is designed to protect your vehicle’s upholstery from any permanent indentations caused by car seats. Diono has been at the forefront of car seat innovation and safety: they’ve introduced new, adjustable products like the Radian car seat and the Monterey booster seat to the market. While they might not be as established as other brands, Diono’s track record speaks for itself. Not only do they continue to win awards for their car seats, but they’re also not afraid to tweak the recipe and try something new. Their Radian Convertible car seat, for instance, was the first steel-reinforced folding car seat designed to make traveling and storage more convenient for parents. Their Monterey Expandable Booster seat, on the other hand, was the first height and width-adjustable booster on the market that could fit children up to 120 pounds. What divides Diono from other competitors is their ability to think outside of the box. They continue to develop products that will make the lives of parents easier, and keep their children safer. When you buy from Diono, you know that you’ll be purchasing a car seat with the most innovative and cutting-edge technology on the market. Originally a part of the automotive industry, Clek turned their attention to car seats when they realized how many of them lacked adequate security features. Like the vehicles they used to manufacture, Clek wanted to develop car seats with advanced safety technology. One of their best-selling products is the Foonf Convertible car seat. Designed with energy-absorbing crumble technology, the Foonf also includes a forward-facing rigid-LATCH installing feature. This is a standard safety feature in Europe and can help you securely install your car seat. If you’re more interested in a seat for your newborn, the Liing infant seat has features that exceed safety requirements in both the US and Canada. For comfort and convenience, there’s a one-handed quick release feature and a 2-stage infant insert to adequately support your child’s head and spine. If you prefer a car seat that’s as good for your baby as it is for the environment, you might be happy to hear Clek is as committed to staying green. Most Clek products are made with eco-friendly fabrics that are free of chlorinated and brominated flame-retardants. Not only are these fabrics generally more comfortable for your child, but they also provide protection against stains and odors. Their dedication to safety and the environment is what separates Clek from their competitors. As a parent, you might compromise on a lot of things, but the safety of your child is not one of them. Every brand on the market will promise you the highest standards in safety related to car seats, but not all of them will actually take the time and effort to deliver on that promise. What makes companies like Chicco, Diono, Britax, Graco, and Clek the best car seat brands on the market is their commitment to providing you with the safest car seat on the road.